How bad is Pennsylvania in the area of equitable education funding? A 2015 Washington Post study found that Pennsylvania’s state and local per-pupil spending in its poorest school districts is 33 percent lower than per-pupil spending in the state’s most affluent school districts, nearly double that of the next worse state and the highest differential in the United States. Here in Bethlehem, Dr. Joseph J. Roy, Ed.D., Superintendent of Schools, Bethlehem Area School District (BASD), has consistently pointed out that the BASD is currently receiving approximately $23 million less annually than the Fair Funding Formula would allocate to the district. This shortfall hurts Bethlehem students by depriving them of the educational resources they so desperately need and absolutely deserve. Why should City Council consider this Resolution now? The Pennsylvania House of Representatives and Senate just swore in a number of new legislators who are strong advocates for public education. Thus, there is optimism that this legislative session will move at a quicker pace to fix financial inequities that have been affecting the BASD and other school districts for decades. Moreover, Governor Wolf is planning to introduce his 2019-2020 state budget in February 2019. Passing this Resolution will send a strong message to state legislators and public education advocates that the City of Bethlehem demands fair and equitable funding of the state’s vital public education system. J. William Reynolds, Member of City Council, has submitted a proposed resolution encouraging the Commonwealth of Pennsylvania to enact legislation making the distribution of state education funding more equitable by reducing per-pupil funding disparities between poorer and wealthier districts. He’s asking the Members of Council to please consider the resolution listed below at the City Council Meeting on Tuesday, January 15, 2019. 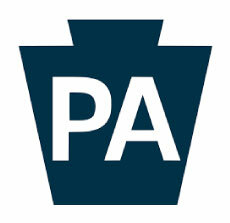 In 2016, Pennsylvania Governor Tom Wolf signed legislation that established a fair funding formula for the allocation of funds to Pennsylvania’s public school districts. Governor Wolf’s action followed the creation of the Basic Education Funding (BEF) Formula (“Fair Funding Formula”) which was unanimously adopted by the bipartisan state Basic Education Funding Commission in June 2015. This formula takes into account local district factors including, among others, percentage of students living in poverty, current level of district taxation, number of English Language Learners, and financial impact of charter schools, when determining the correct amount of state funding. WHEREAS, the Council of the City of Bethlehem believes that this annual shortfall harms BASD students relative to students from wealthier and less diverse districts and that all students deserve a quality education supported by adequate funding. BE IT FURTHER RESOLVED that a copy of the Resolution be sent to elected state officials in the Lehigh Valley asking for support of such measures.